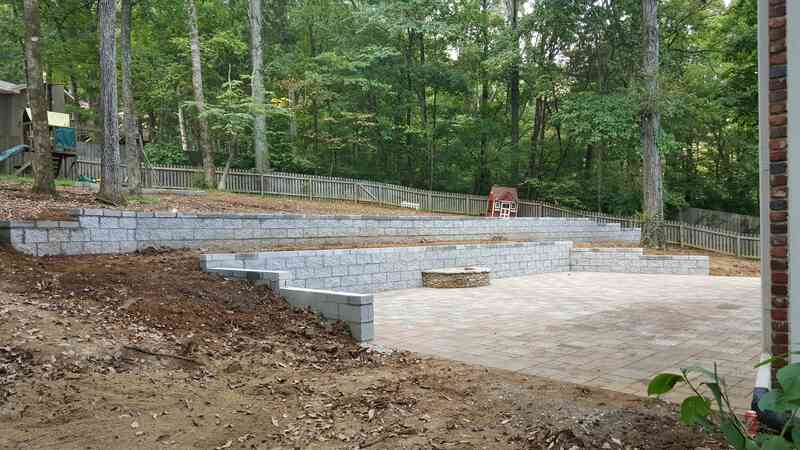 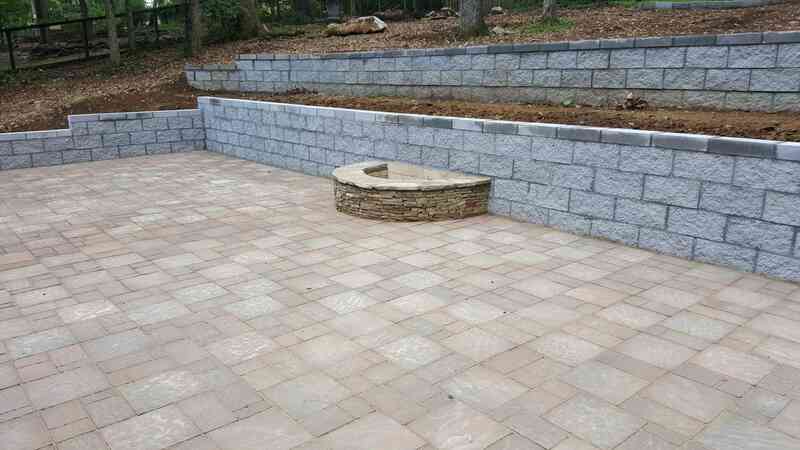 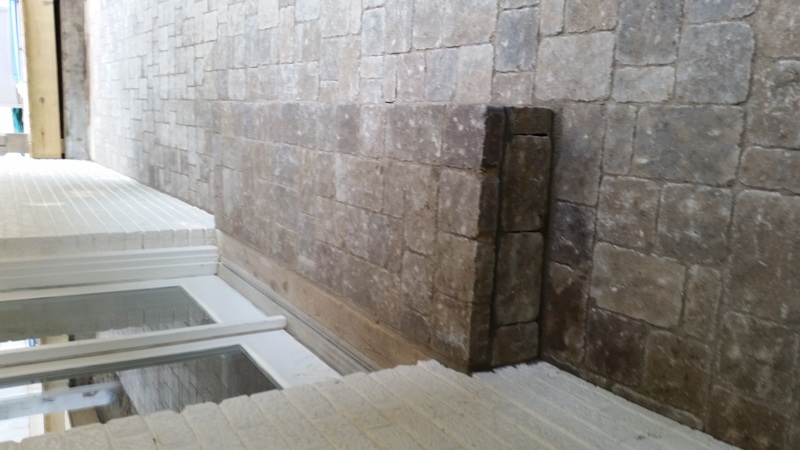 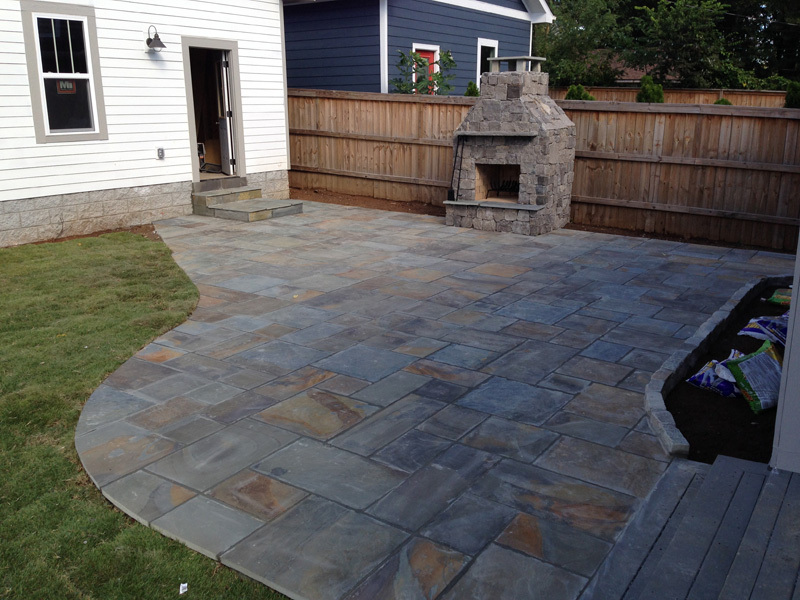 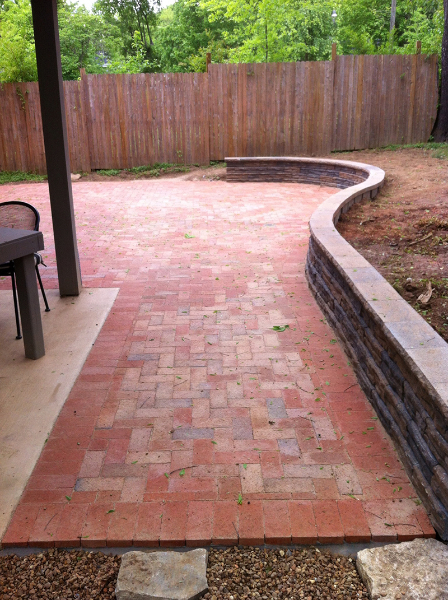 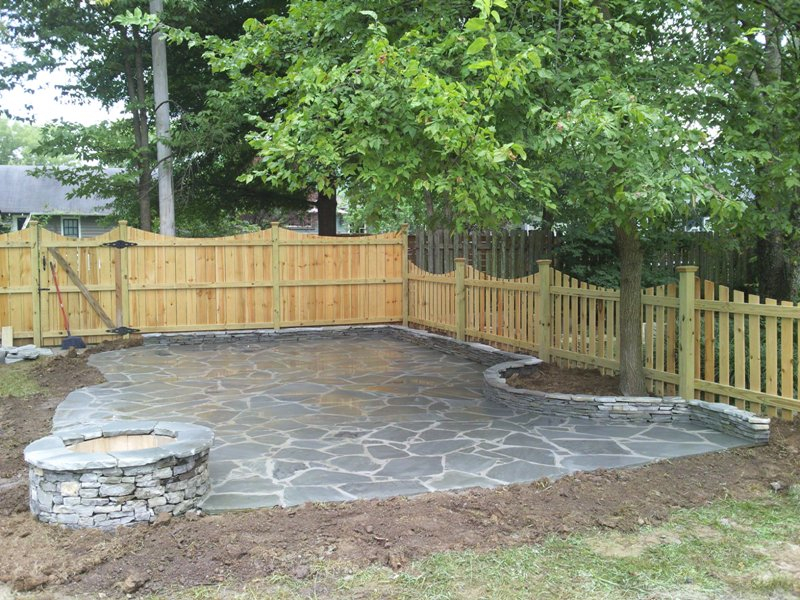 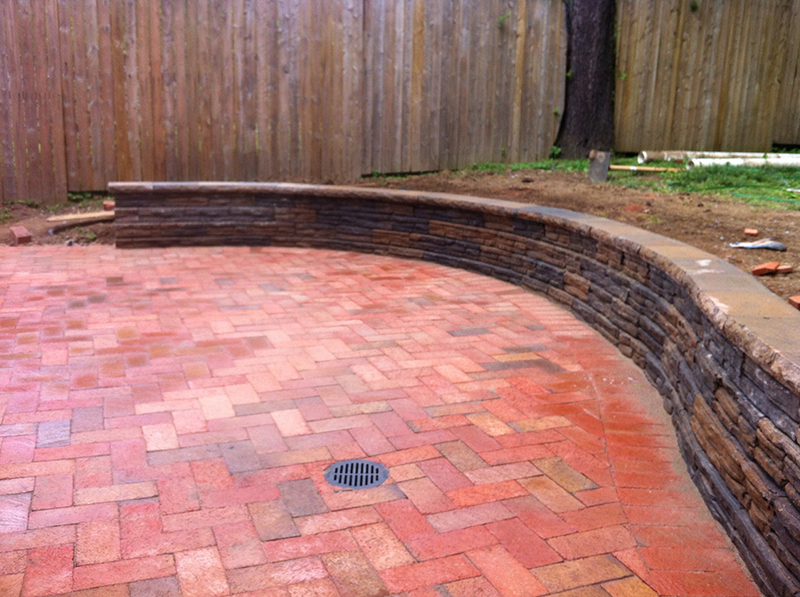 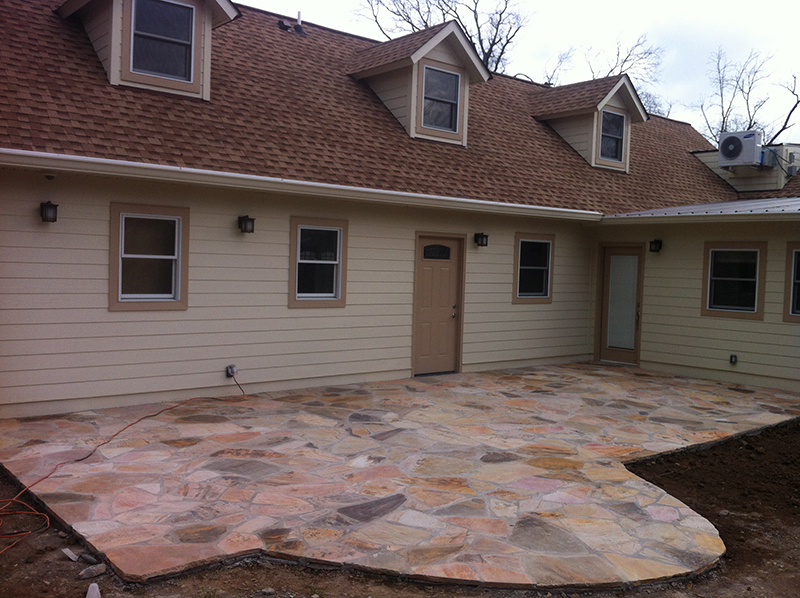 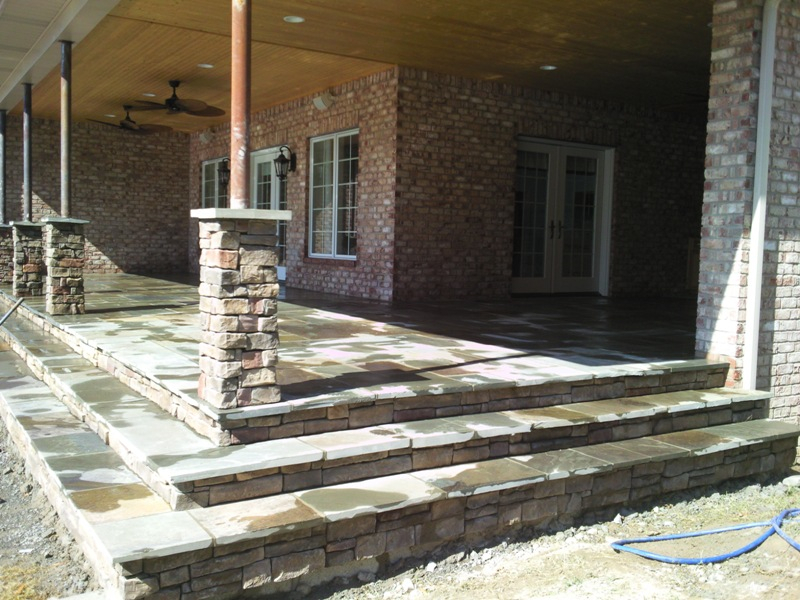 JORDAN’S Improvement can design and build any outdoor stone patio you’d like. 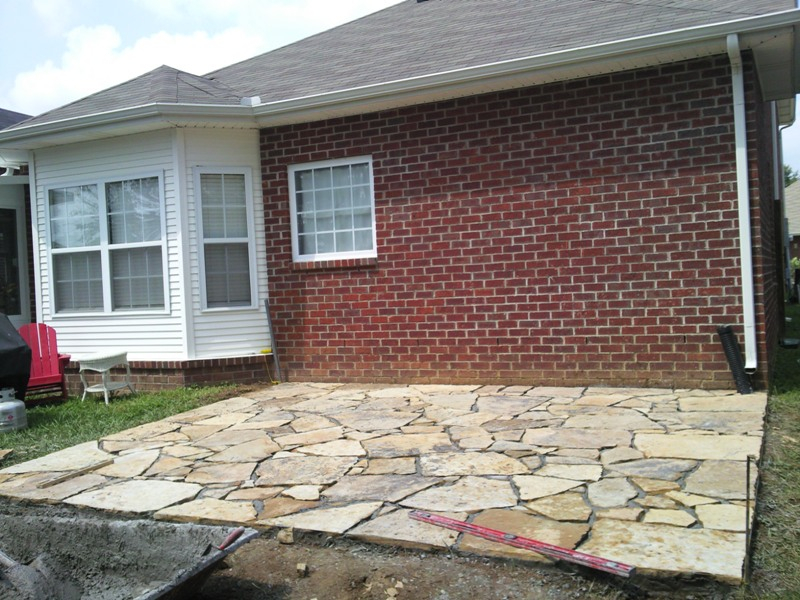 We can match your new patio to the specific design and style of your of your home. 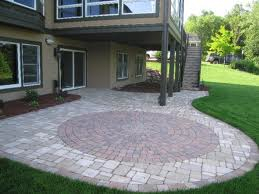 Patios are a great way to enjoy the spring, summer, and fall months. 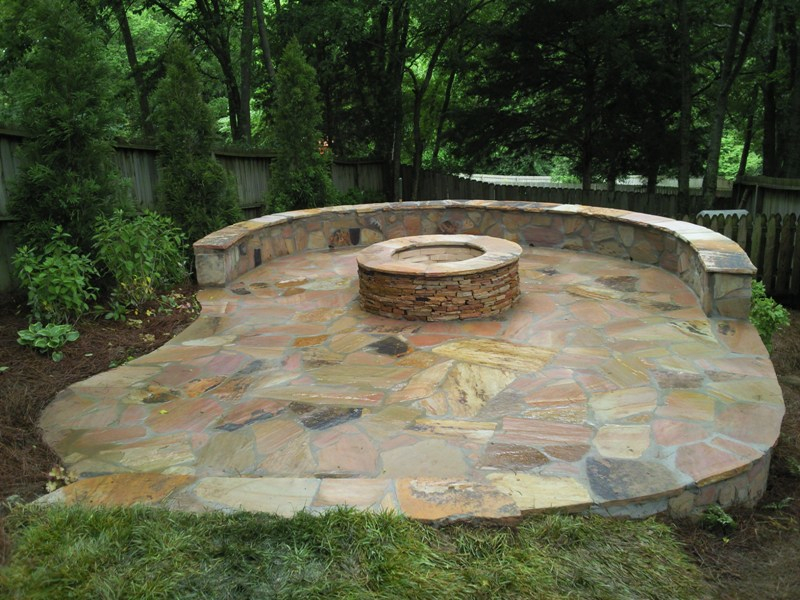 The addition of a fire pit or outdoor fireplace can also make the colder months more comfortable outdoors as well. 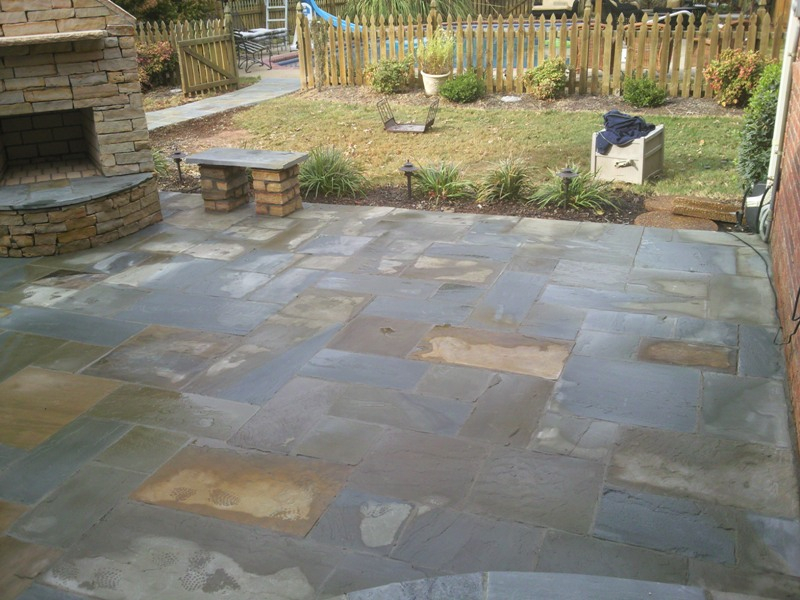 Patios are more than simply a place to enjoy the outdoors. 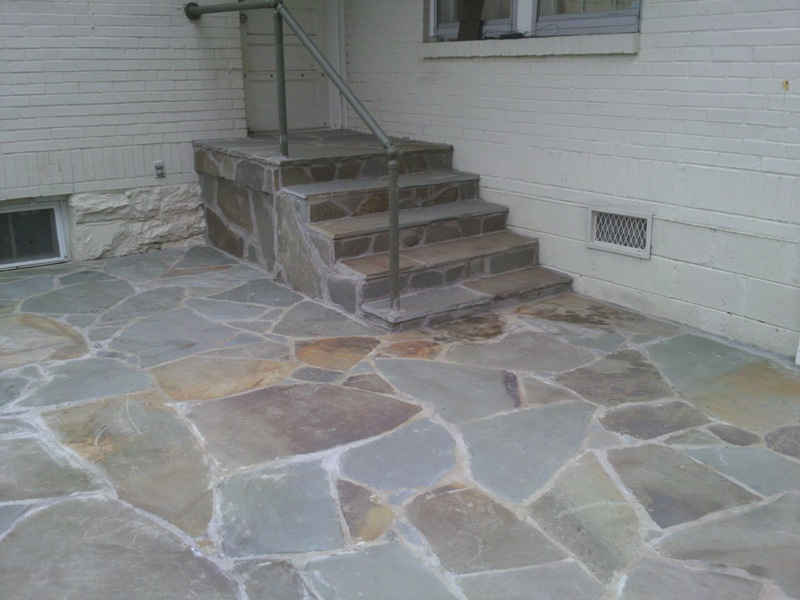 There are several different types of patios and we can design and build which ever one you’re looking for. 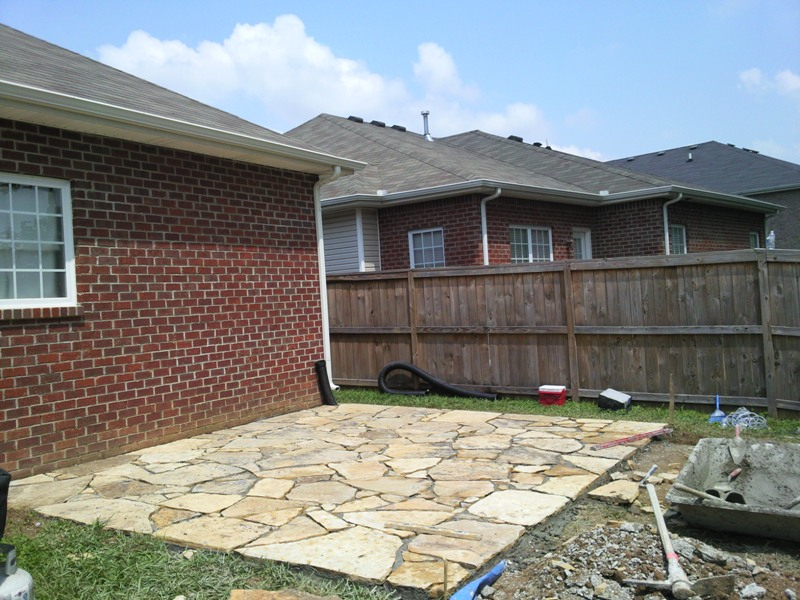 Dining Patio – If you enjoy dining outside then this type of patio is what you’ll want. 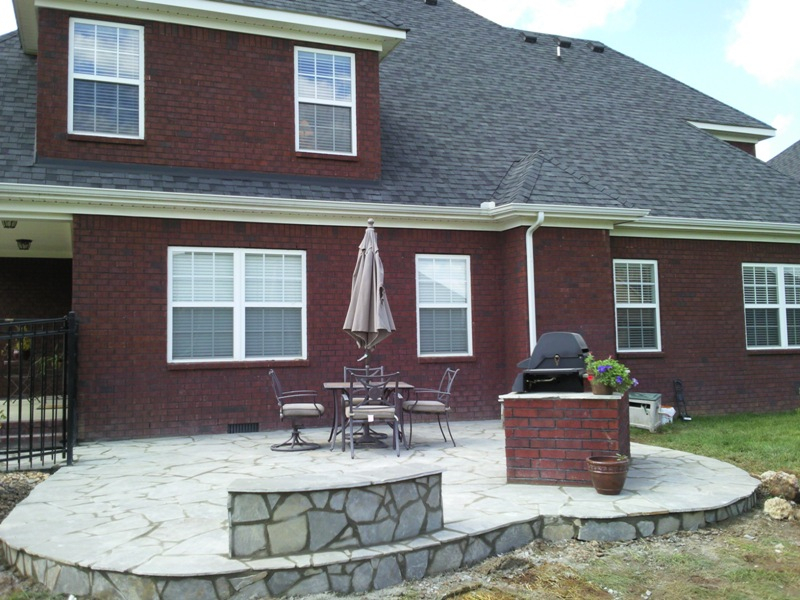 These patios are large enough to accommodate a dining table and chairs for family and guests. 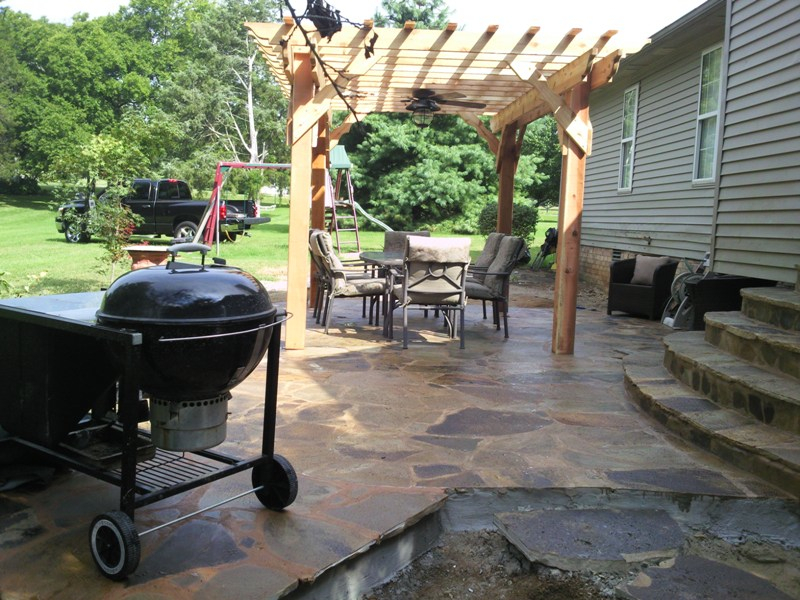 Dimensions are typically 12 feet by 12 feet and placement is usually next to an outdoor kitchen or the back door to make carrying food from the kitchen to the outdoor table easier. 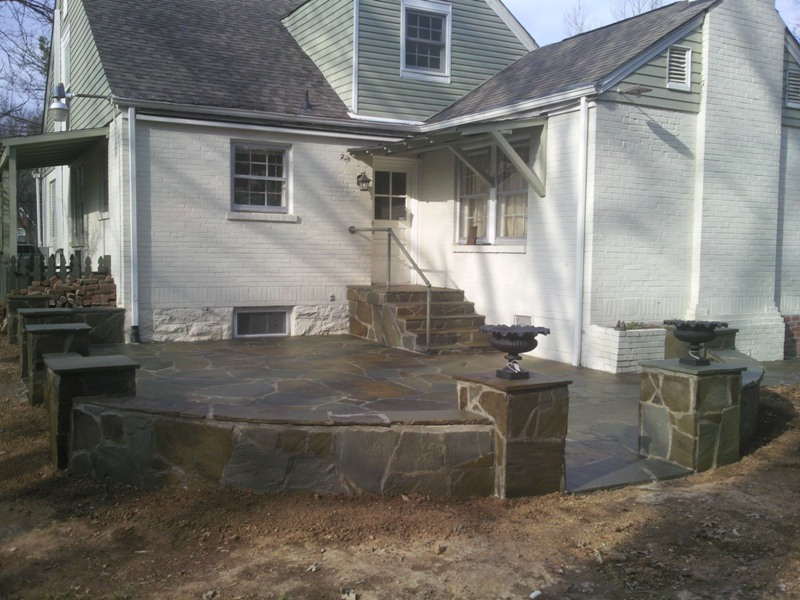 Living Room Patio – Outdoor living areas are a great excuse to stay outside all day. 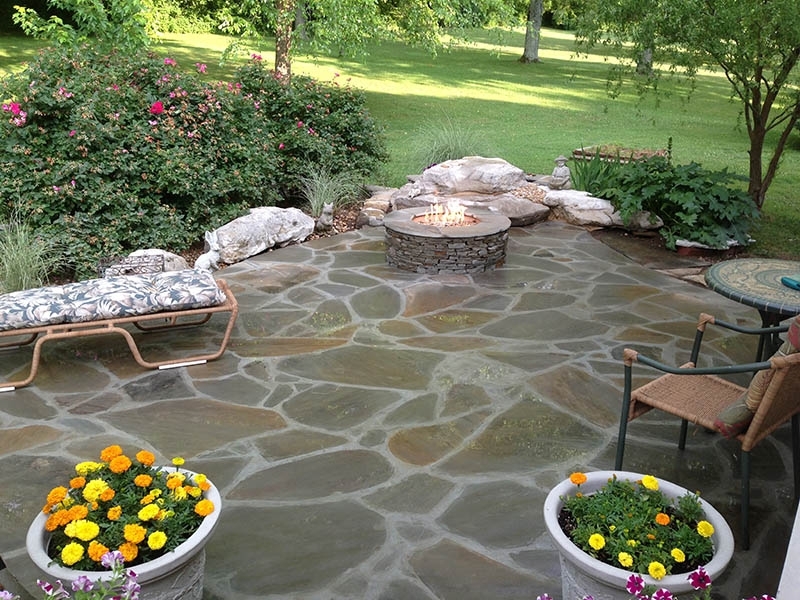 These patios usually feature a fire pit or outdoor fireplace with enough space for patio furniture and guests to move around. 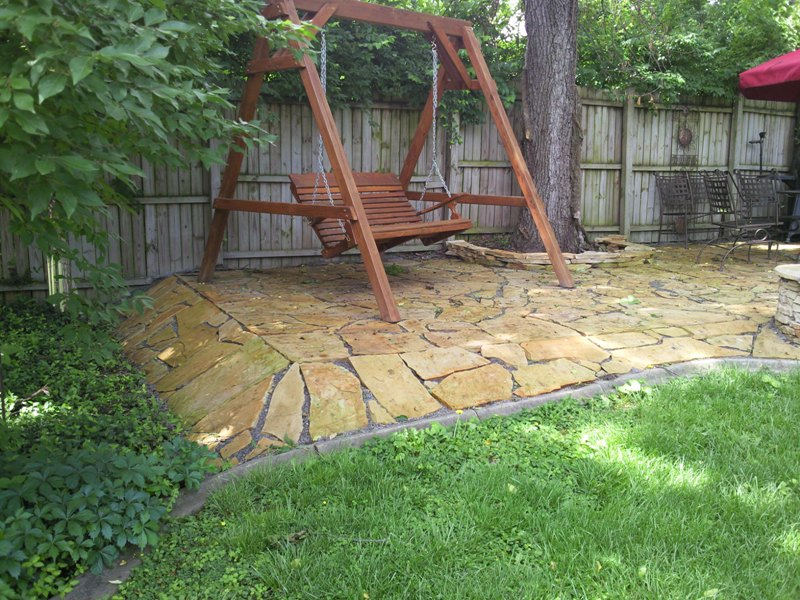 Shade structures are usually used to provide relief during the sweltering summer months. 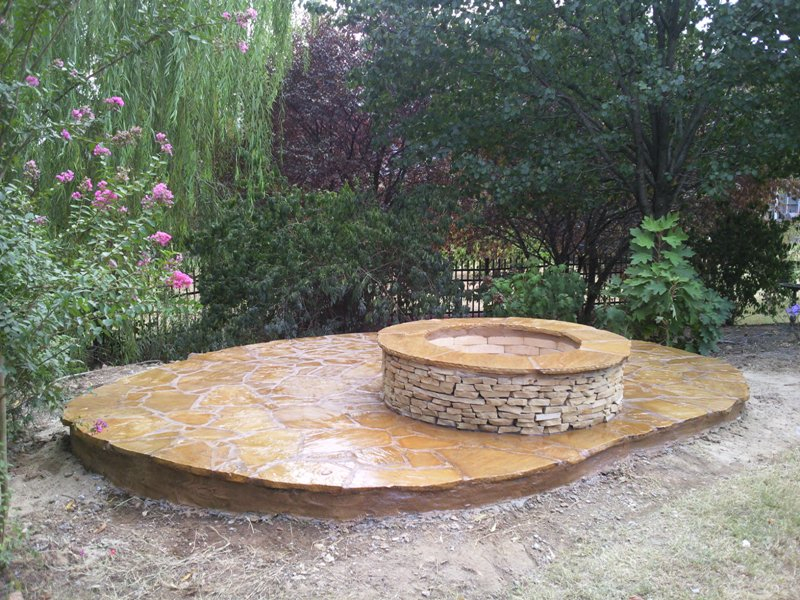 Dimensions are usually 16 feet by 18 feet. 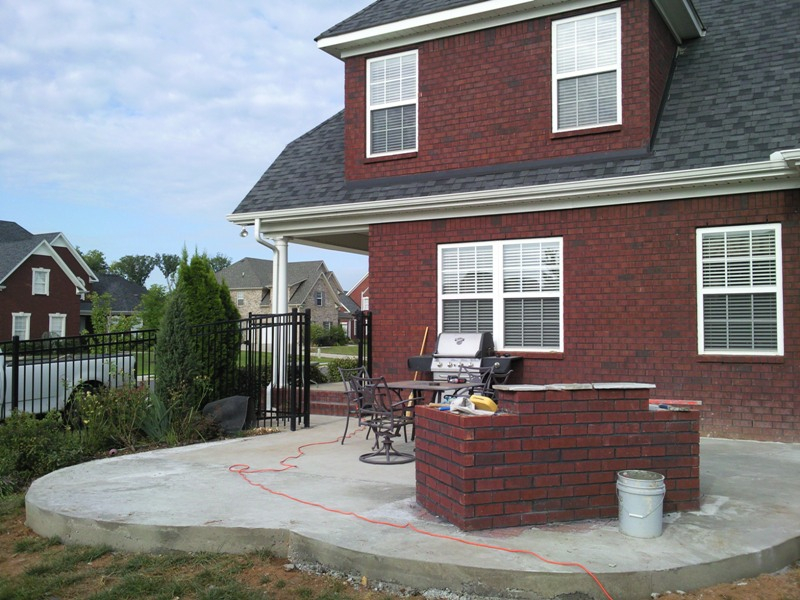 Bistro Patio – Similar to the dining patio, only smaller, the bistro patio accommodates a table and chairs for two. 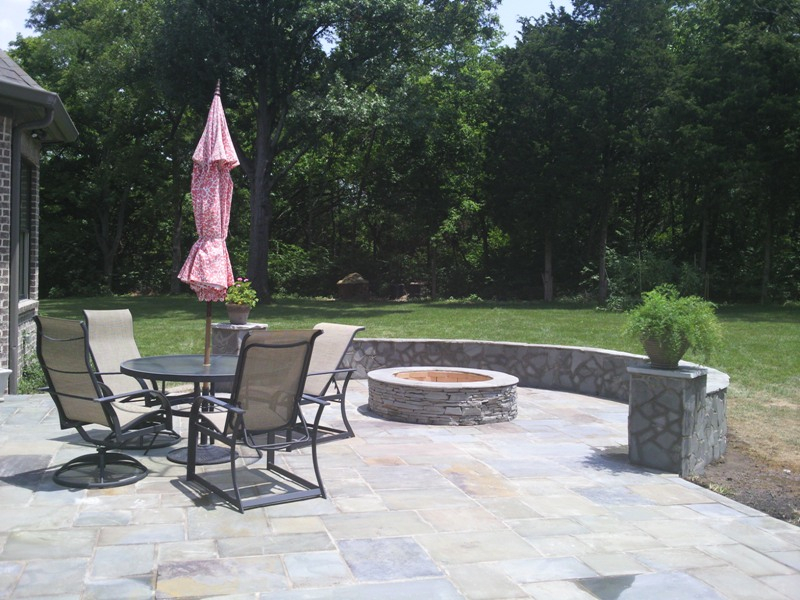 It is perfect for those looking for an outdoor retreat when eating breakfast or lunch. 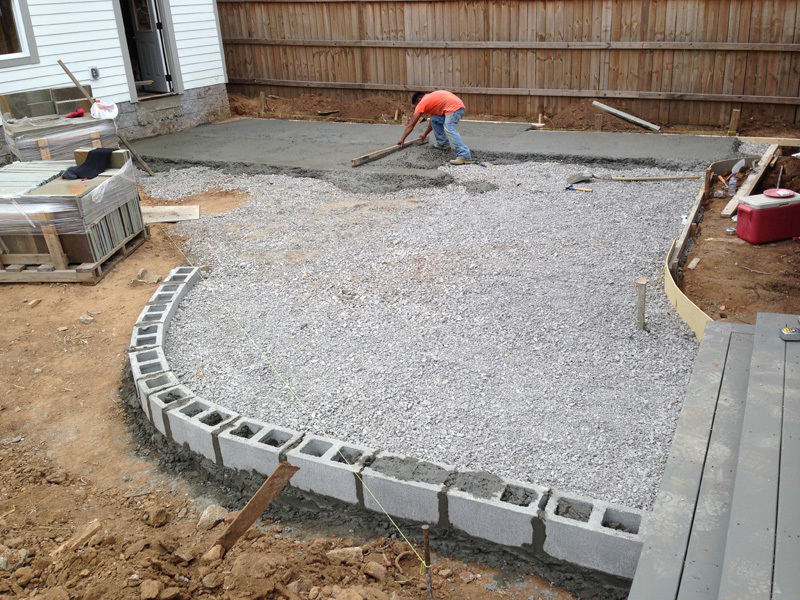 Required space is typically 6 feet by 6 feet. 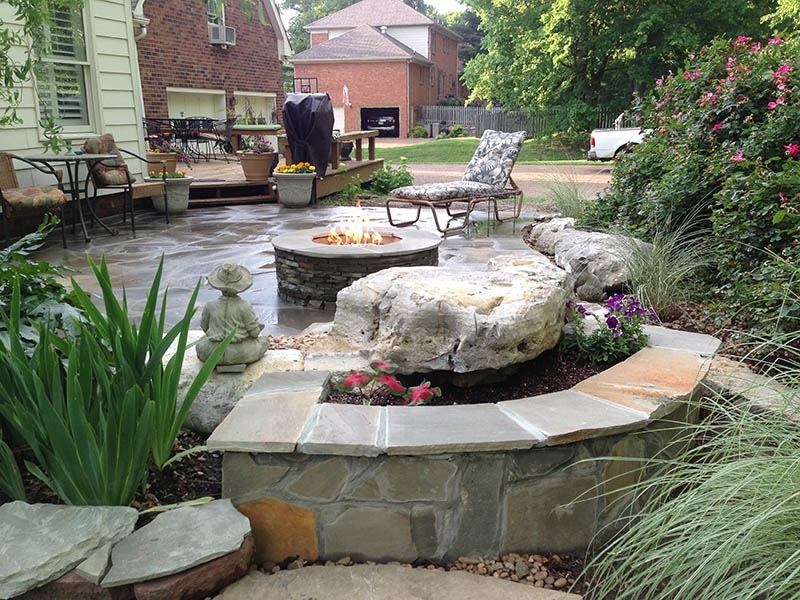 Some bistro patios incorporate small fountains to serve as focal points. 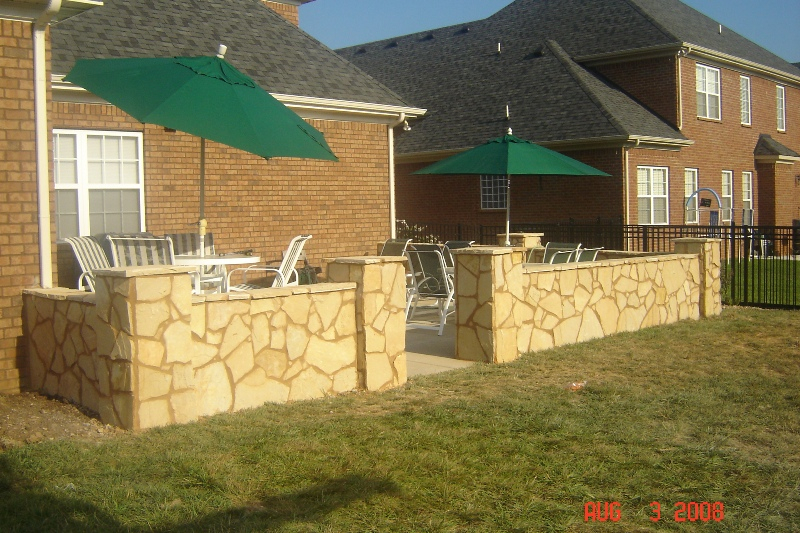 Sundeck Patio – Sundecks are commonly seen near the swimming pool. 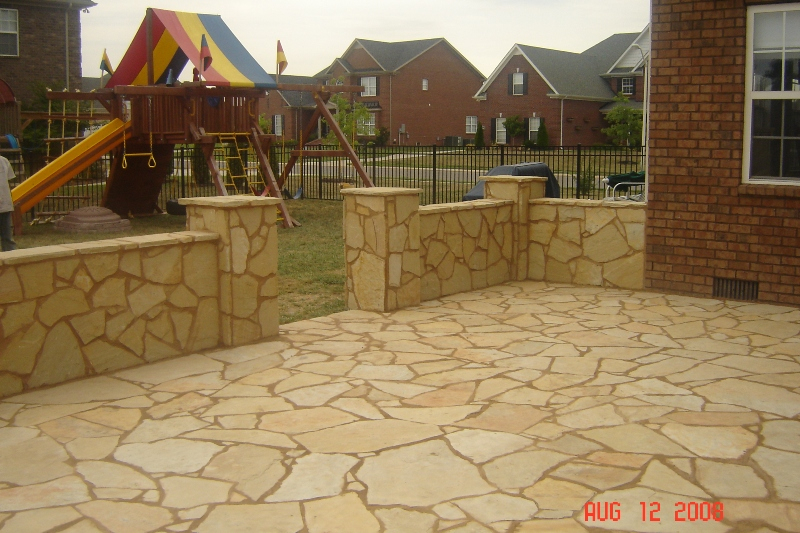 These patios are for those who like to enjoy the sunshine and tan or simply relax next to the pool or vista. 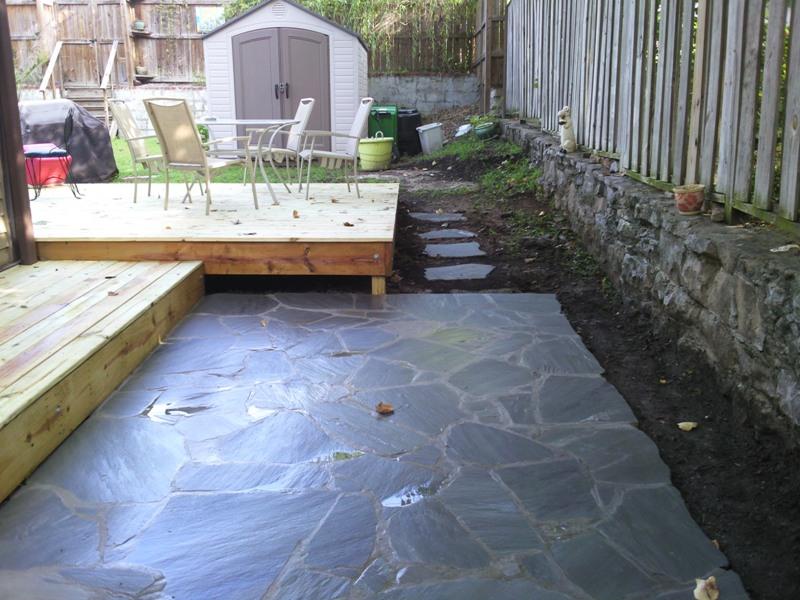 Typical space requirements are 2 feet by 6 feet. 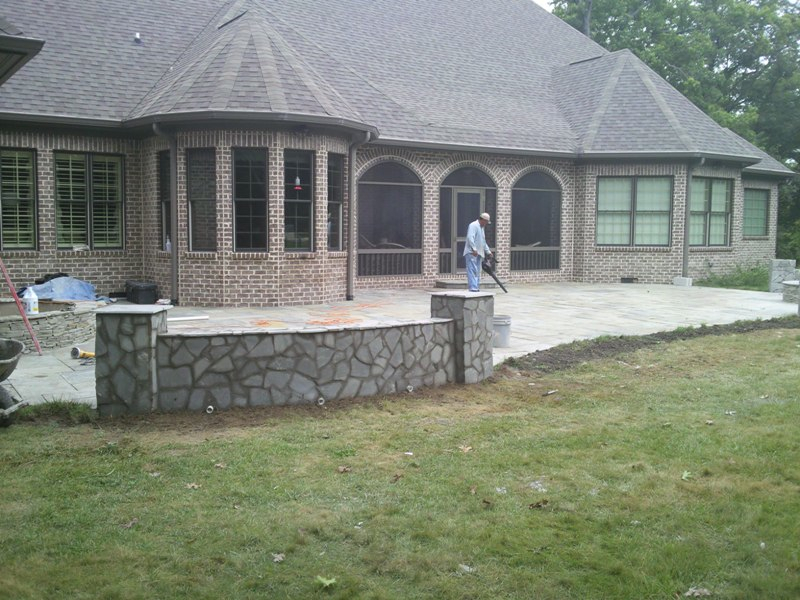 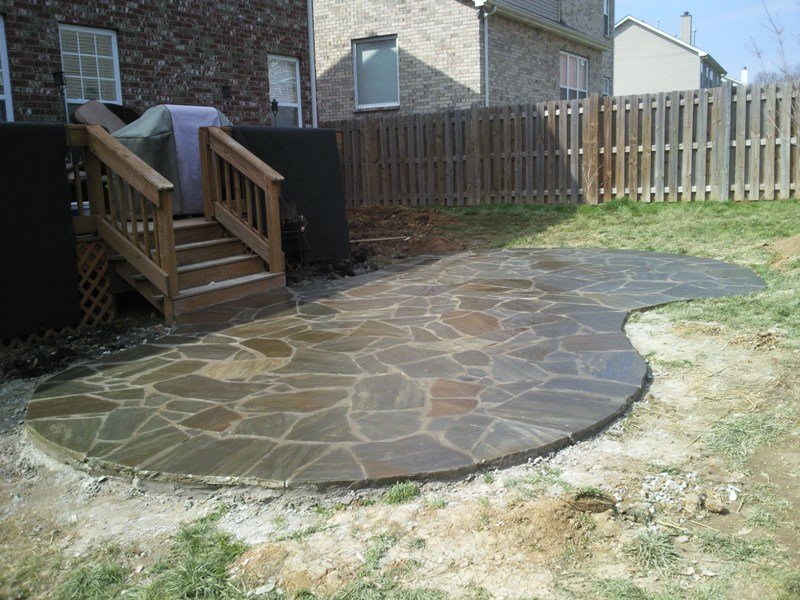 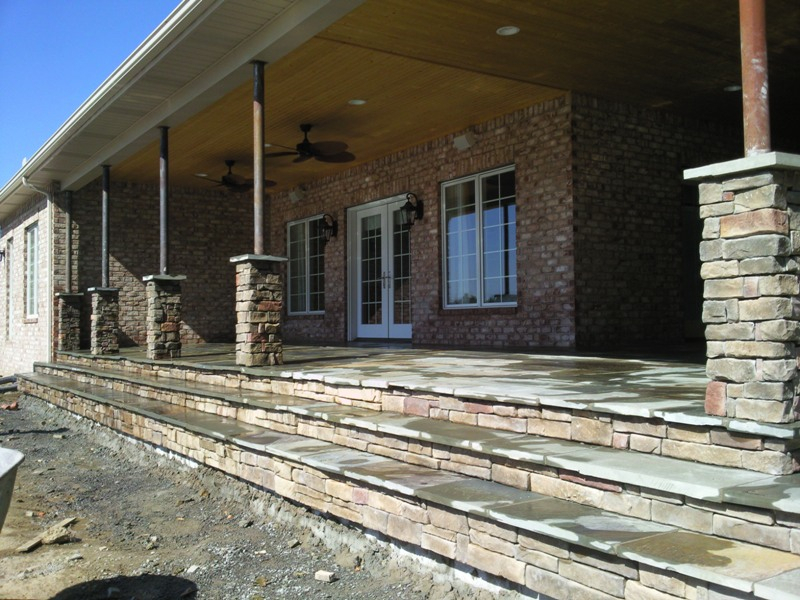 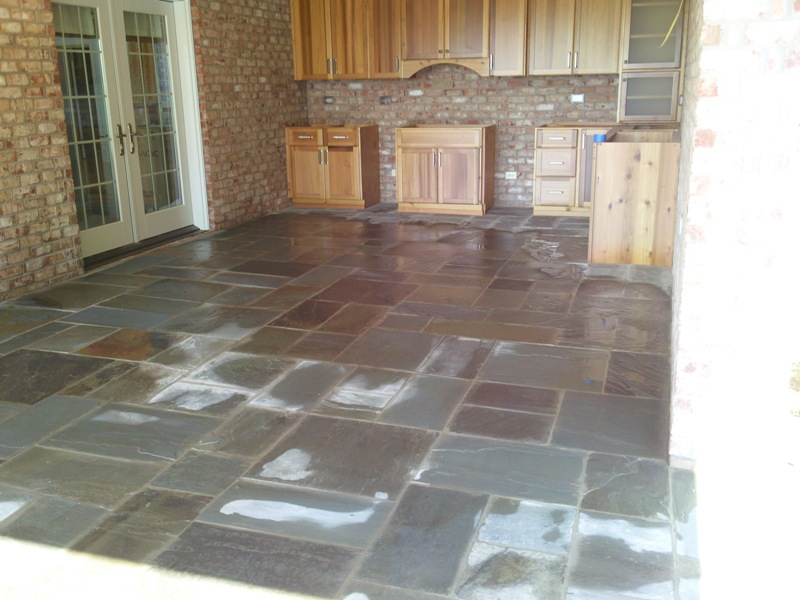 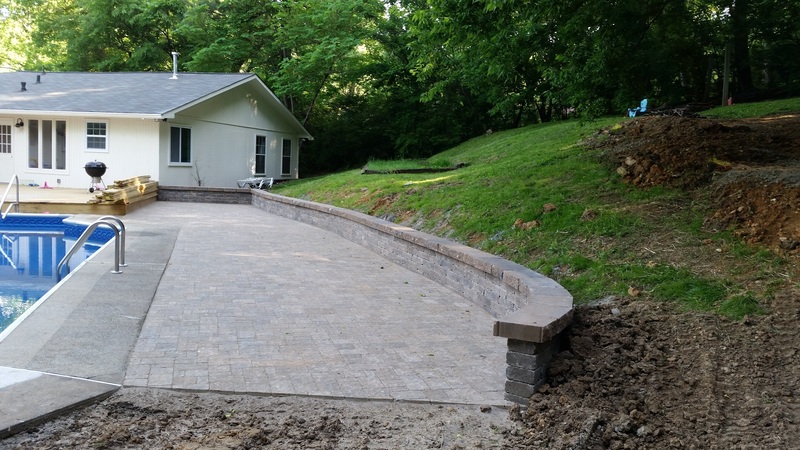 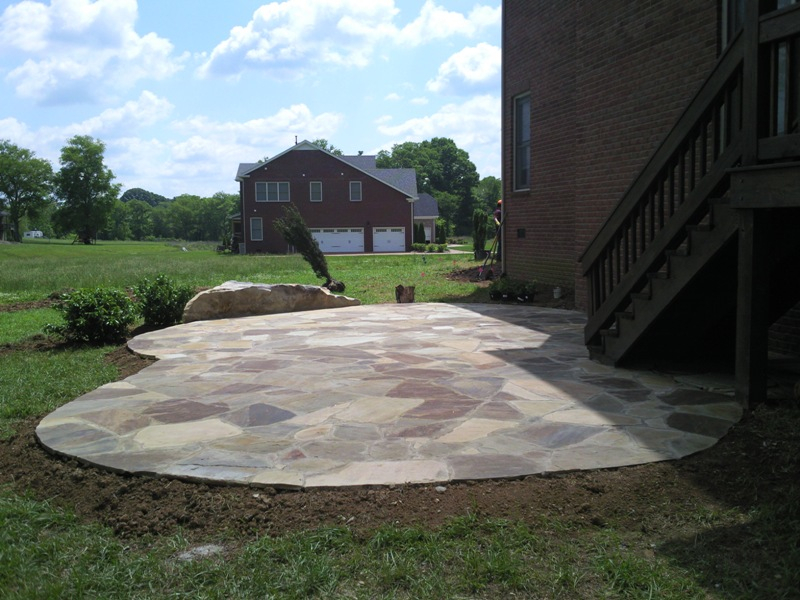 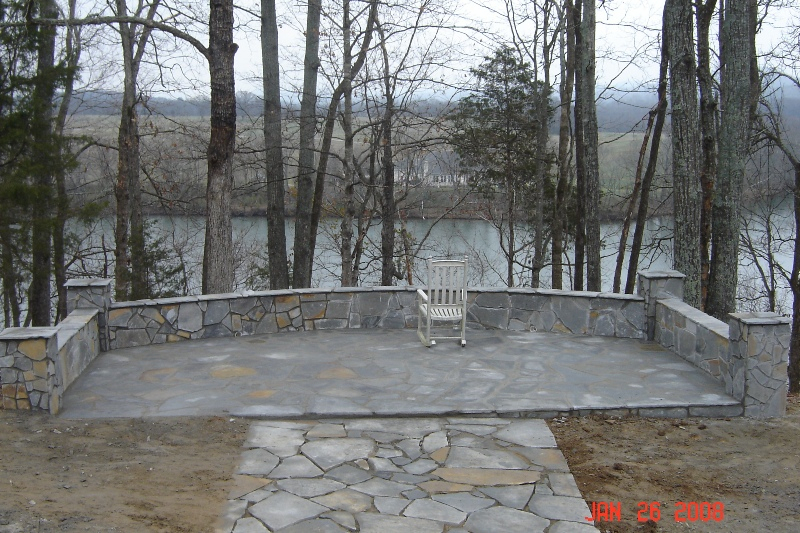 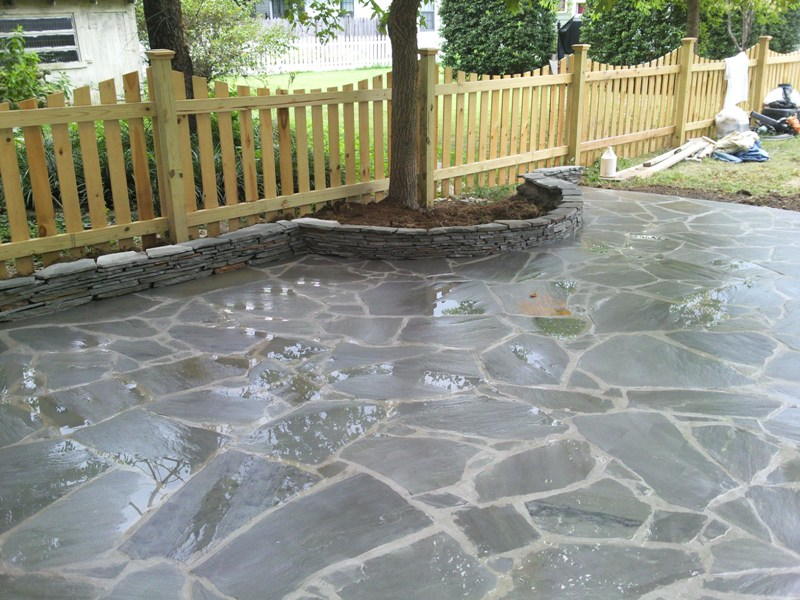 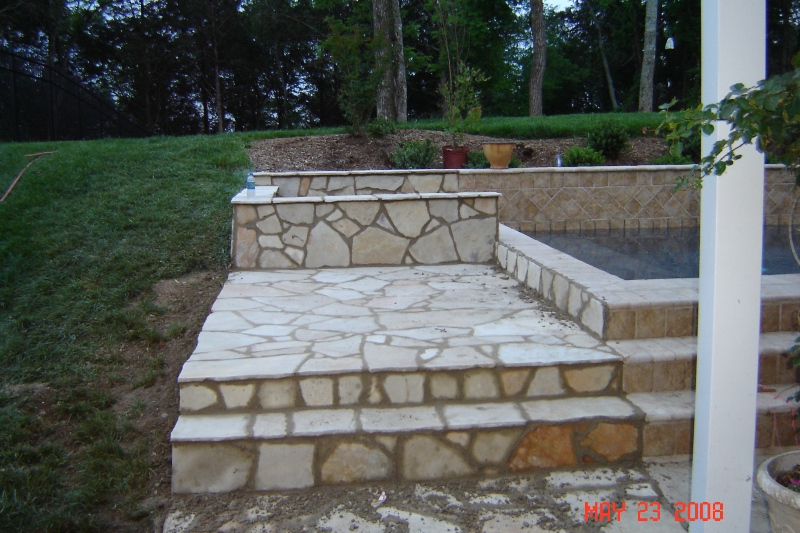 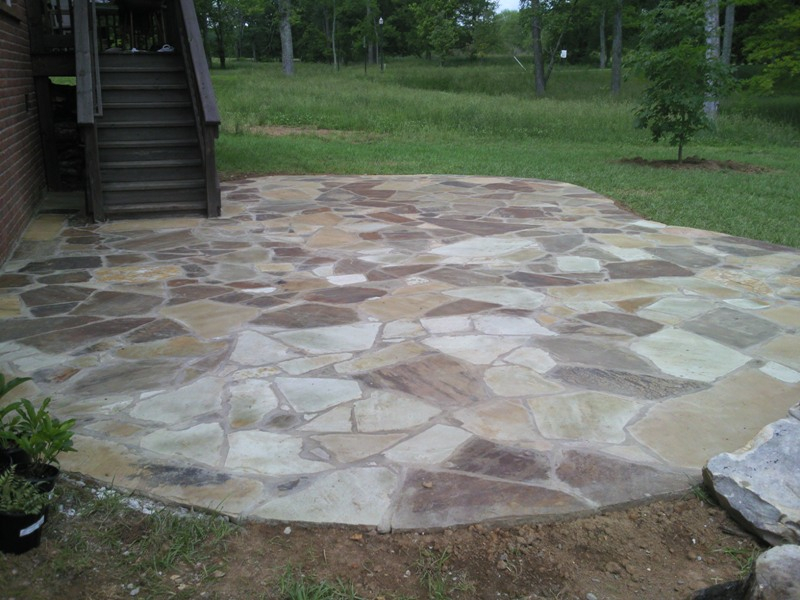 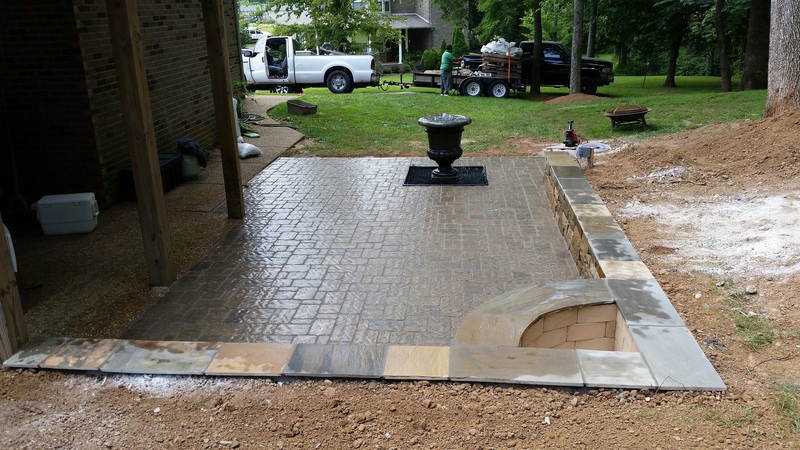 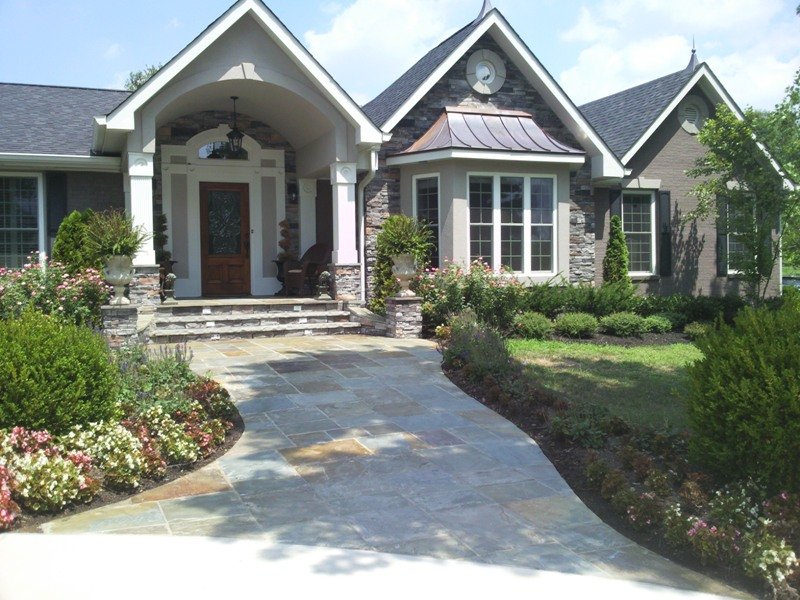 Contact or Call us today at (615) 482-3651 and let us create an original masterpiece stone patio for your home.